Peterhof is a seaside imperial-palace complex of Peter the Great on the Gulf of Finland known as the Russian Versailles, in part thanks to the ultra-controlled French-style gardens, in part--due to the tsars' attempts to outdo their European counterparts in terms of general decor. 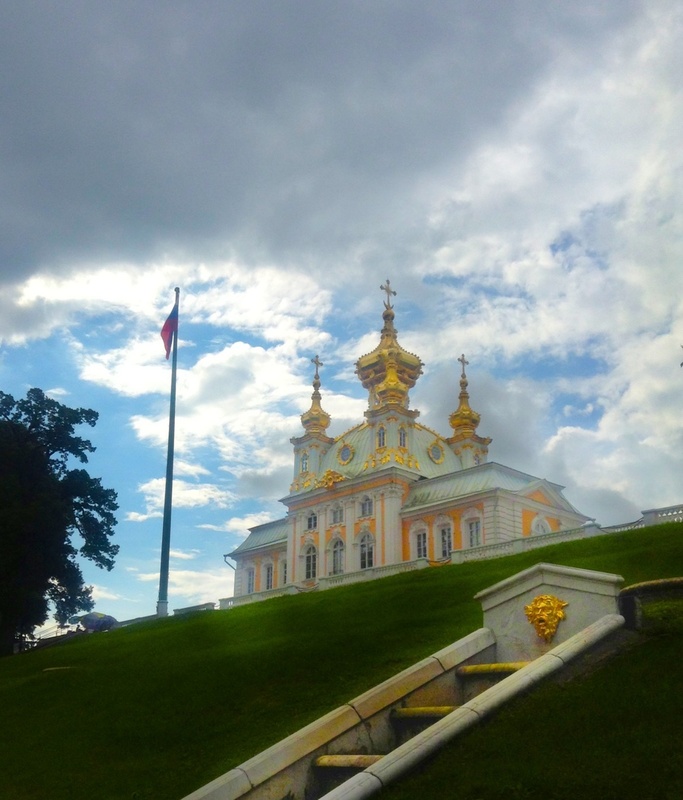 The Emperor's own palace contains pompous Baroque decorations, Oriental-imitation cabinets, women's boudoir with harps and elaborate cosmetic boxes, as well as hundreds of paintings, including the series focused on Russo-Turkish war of the late 1700s commissioned by Catherine the Great, who blew up a ship so that German painter Jacob Phillip Hackert could accurately depict the battle of Chesma--mushroom cloud and all! 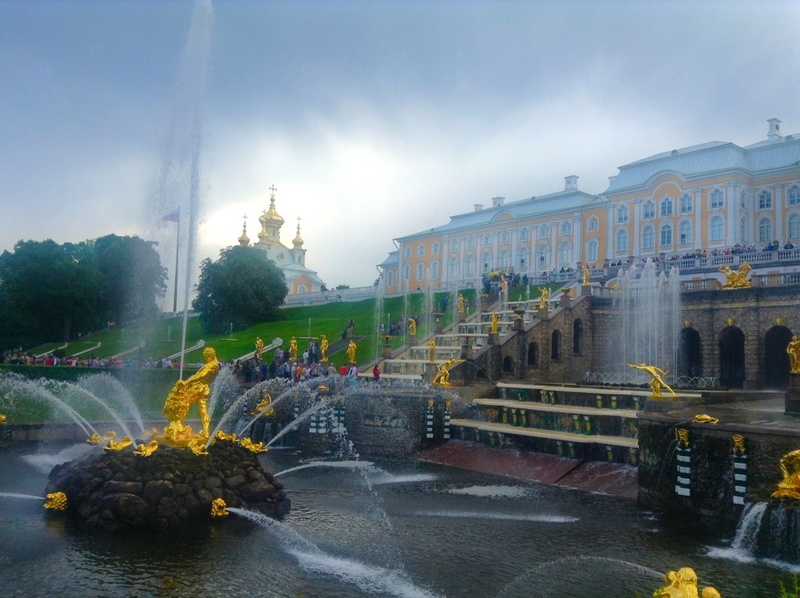 There are dozens of fountains in the palace-complex parks: Baroque, Roman-style, "tricky" fountains--practical jokes, surprising visitors by spraying them with water, and a massive cascade commemorating Russia's military victory over Sweden by depicting Samson battling a lion as its focal point. Cool alley ways, carefully selected flowers, and a life-size statue of Peter towering over his visitors--complete with a good-luck tradition of tossing coins into his knee-high boots add to the experience. There is even a Wagneresque Lohengrin-style swan boat below the Grand Cascade! My favorite part? Leaving it all to chase Eurasian hooded crows, ducks, and sea gulls on the Gulf of Finland with my telephoto lens. P.S. The images are still mobile.